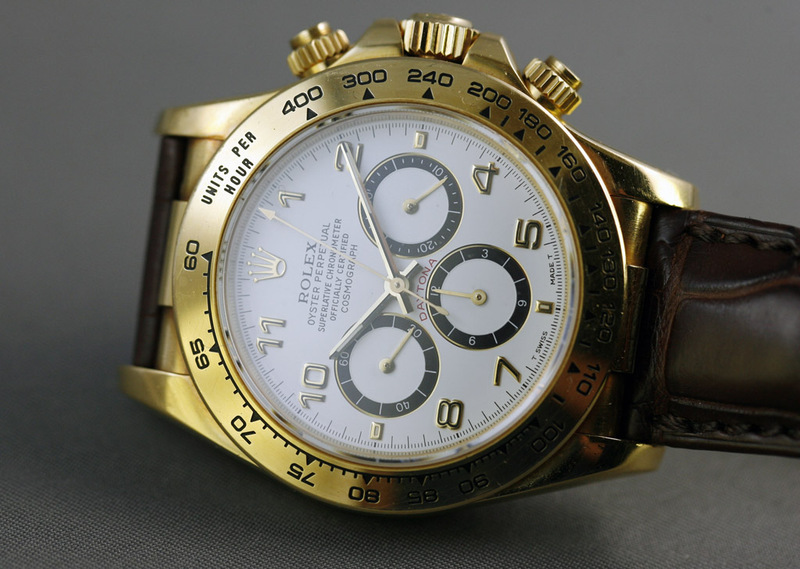 I was playing around with El Primero driven watches this morning and wondered about which watches people are owning. 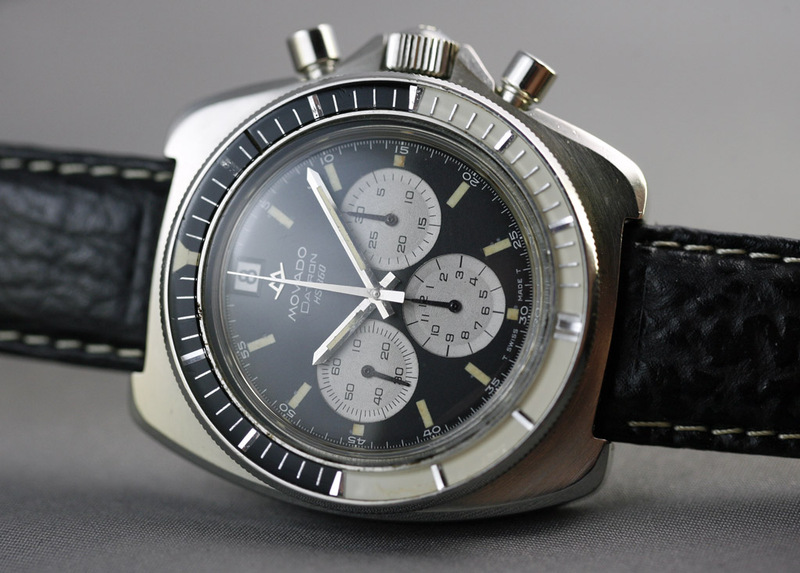 Movado Datron HS360, very early '70s Zenith/Movado El Primero with date at 12. 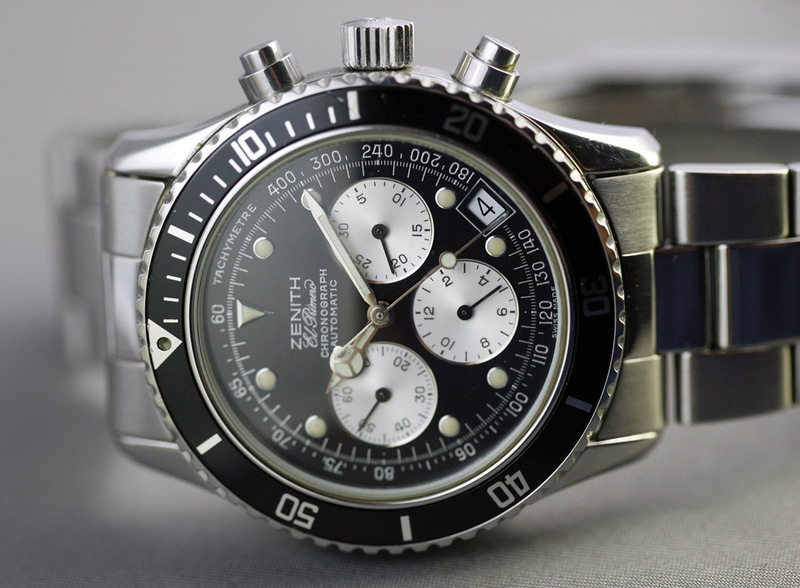 Zenith DeLuca, it was first introduced in late '80s then side by side with Rainbow flyback at the retailer's show case back in '90s, low productioned thought after diver's chronograph from Zenith. Bought it in '95, ref.16518 Cosmograph. Has inverted 6 at 12 hour counter, black outlined indials.